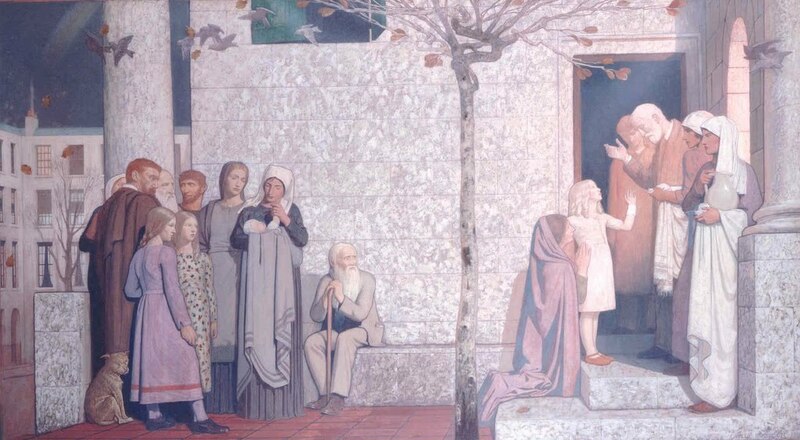 These extraordinary paintings by an artist previously unknown to me, Frederick Cayley Robinson, once hung in the entrance hall of London's Middlesex Hospital. They are currently on view at the National Gallery. Click on them for larger versions, which I got here. 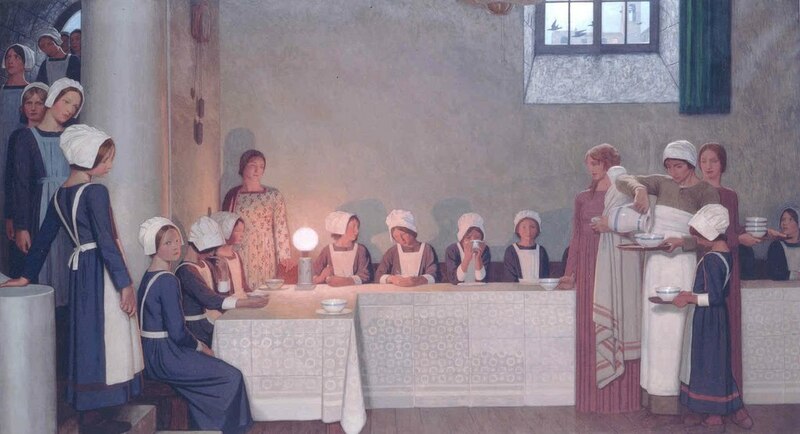 The stillness of the compositions and the subtlety of the palette strike me very forcefully.